Smartisan Nut 3 has been launched by the company as the updated version of the Smartisan Nut Pro 2 which was introduced months ago. 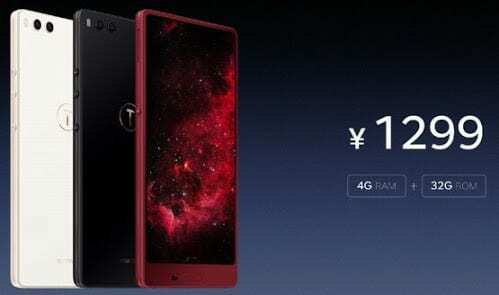 The device sports a tri-bezel-less display and will be competing with the likes of Xiaomi Mi Mix 2S. 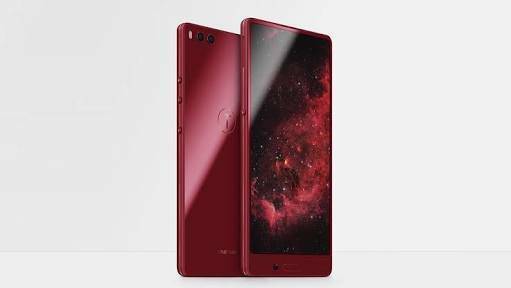 Internally, it has 4GB RAM, a storage version of 128GB, a massive battery capacity, dual rear camera, Ultrasonic sensor and other quality features. Want to know more? Stay with me. What is Smartisan Nut 3 Price and Availability Status? Sports a Metal overall unibody that’s non-removable. The body was covered exquisitely in glass and reflects light beautifully. There’s no rear fingerprint scanner here just as expected, the scanner is now located at the front. Loving the way Smartisan’s “T” logo glows when in contact with light. This time around, the dual-LED flash comes first at the top left corner, before the dual shooters follows in a horizontal format. Measuring an impressive 7.16 mm in thickness even with its massive battery capacity. It weighs 154g and available in Black, Red and Gold colors. 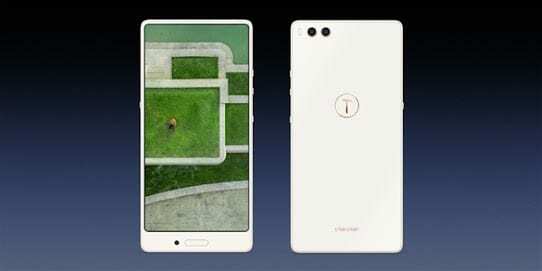 The Nut 3 dishes out a bezel-less display with no top bezel whatsoever. Even the narrow bezels weren’t spared in the elimination of annoying bezels. Although the bottom bezel was saved, but on one condition, it has to house the selfie camera and physical home button/fingerprint scanner. Focusing on the screen, the 5.99-inch FHD+ IPS LCD capacitive touchscreen stretches all the way to the top. Watching movies and playing games with this beauty will be a dream come true. The screen has a resolution of 1080 x 2160 Pixels and 403 pixel per inch density and stretches up to 81.2% screen to body ratio this time around. Behind this beautiful screen is a Snapdragon 625 MSM8953 chip from Qualcomm alongside Octa-core processor and 64-bit CPU architecture. The 8-cores of processor runs at a fast speed of 2.0GHz with 14nm process technology. The Qualcomm Adreno 506 graphics processor handles graphics and clocks at 650MHz. For multitasking, the Smartisan Nut 3 relies on its 4GB RAM space with a memory speed of 933MHz, which is almost 1GHz. In terms of storage, there are three versions to choose from, the standard version packs 128GB storage. While the affordable variants has 32GB and 64GB storage space. Nonetheless, they are all upgradeable up to 256GB. Smartisan Nut 3 runs on Android 7.1.2 Nougat operating system with Smartisan UI 4.0. The dual 13MP + 13MP Sony rear shooters has f/2.2 aperture and 6P Lens, capturing photographs with 4163 x 3122 pixels in dimension. The camera has a dual-LED flash and other features like ISO settings, Panorama, Scene mode, Self-timer, Touch focus, Phase Detection and Blur Filter Glass. Record FHD videos of 2160, 1080, 720 pixels at 30, 60 and 120 fps respectively. The 13MP selfie camera has f/2.2 aperture as well and sits in a not so flattering position at the bottom bezel. Powering the Smartisan Nut 3 is a 4000mAh non-removable Li-Po battery with fast charging technology. With the fast charging feature, it shouldn’t take up to 1.9 hours to fully charge up the battery from 0% to 100%. The Smartisan Nut 3 is available on Shopping stores from $249 (N70,000) to $299 (N100,000). Click on the links above to view the latest Smartisan Nut 3 price & availability on Shopping stores.